There comes a point in the bleak landscape of current events where those paying attention are left exhausted and speechless. 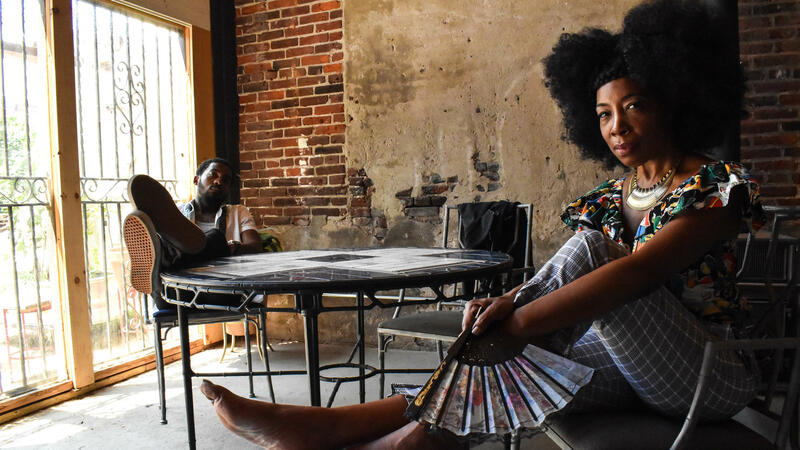 Philadelphia R&B/hip-hop combo &More has a word for that moment when there are no words left: "WHOA." That's the name of the latest single from the duo's Ethel Bobcat LP, due out in April, and its World Café-premiered new music video sharply satirizes 24-hour news cycle fatigue. Set in the studios of a fictional cable network called WHOA News Tonight, singer Donn T plays the anchor at the desk, while rapper Chill Moody is a reporter in the field. They trade rapid reactions to systemic racism, police brutality, and fake news. While Chill raps, "Hammer and sickle, rock and thistle, cops'll frisk you / Don't sympathize for that guy, too much black pride. / Youngin tried to ride the wave, and got capsized.' / Mom cried enough tears to see her son baptized. / The headlines'll still read 'Blacks Rob,' all I hear is 'WHOA,'" archival clips of the Brett Kavanaugh hearings, Black Lives Matter marches, and a White House press conference race across the screen in a flickering montage. The musicians try to keep their composure and make sense of it all. But the message of the visual is not one of wearied disconnection, but engagement. As hip-hop icon Chuck D of Public Enemy says in a poem introducing the video, "The youth need a reminder..."
Donn T is not only instantly recognizable as the co-frontperson of &More, but she is also a prominent face at various social actions around her native Philadelphia; pay attention at 2:17 mark in the "WHOA" video to see her holding up a sign at a protest in front of the Starbucks where two black men were racially profiled and arrested. Donn T tells World Café that the song was inspired by the The Hate U Give, a young adult novel by Angie Thomas about a black teenager who is propelled into activism when her best friend is shot and killed by a white police officer. The striking image on the dustjacket shows the protagonist, Starr, holding up a picket sign as big as her entire body, bearing the name of the book. "First time I saw her book's cover, something resonated," Donn T says. 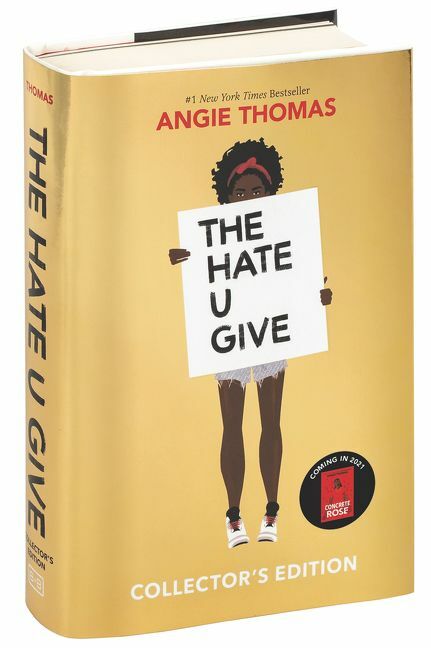 "My mind finished the phrase, The Hate U Give...'won't stop and let you think, the love you save, keeps you on the brink.'"